Corporate and Campus Networks often face a familiar problem; connecting multiple buildings in busy areas separated by obstacles such as roads, rivers and urban development. Traditional connections using Fibre Optic, Leased Line or Microwave radio can prove costly or incur unacceptable delays. Many customers have fibre optic leased lines or circuits for connectivity. However these cables are fragile and are easily broken by other digging works, construction or site changes. Conversely, wireless links are installed at rooftop level hence any street-level disruption does not affect the rooftop wireless networking infrastructure, enabling uninterrupted communications despite street-level disruption. 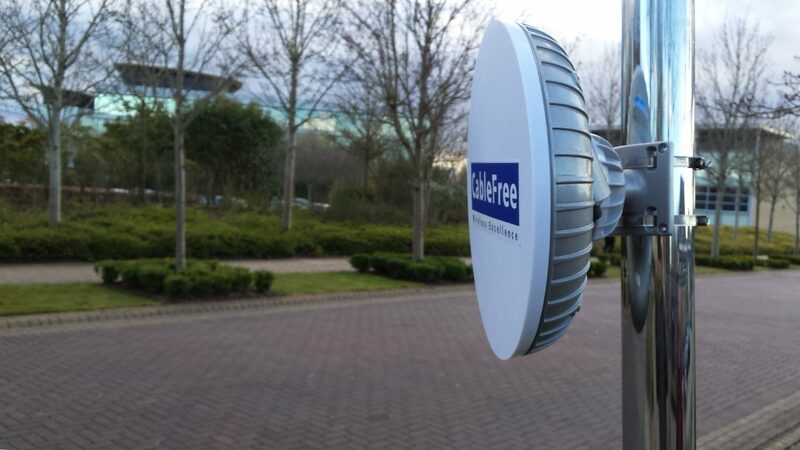 CableFree products are field-proven, with thousands of deployments in over 70 countries since 1997. Excellence in performance and reliability are not sacrificed in providing highly competitive priced solutions together with a comprehensive range of support services.